World Weaver Press, 9780692669501, 284pp. Cass Nolan has been forced to avoid the burn of human touch for her whole life, drawing comfort instead from her dreams of a silver wolf-her protector, her friend. When her stalking nightmares return, her imaginary dead sister's ghost tells her to run, Cass knows she should listen, but the sinfully hot stranger she just hired to work on her ranch has her mind buzzing with possibilities. Not only does her skin accept Nathan's touch, it demands it. Cass must make a decision-run again and hope she saves the people who have become her family, or stand and fight. Question is, will it be with Nathan or against him? Nathan Rivers' life is consumed by his quest to find the Omega wolf responsible for killing his brother, but when the trail leads him to Cass and her merry band of shapeshifters, his wolf wants only to claim her for himself. 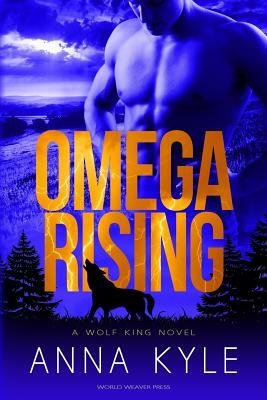 When evidence begins piling up that Cass is the Omega he's been seeking, things become complicated-especially since someone else wants her dead. Saving her life might mean sacrificing his own, but it may be worth it to save the woman he can't keep from reaching for. Anna Kyle wrote her first story at age 12 on an old manual typewriter, and though the technology has changed, she hasn't stopped since. She lives in the Midwest surrounded by family and friends and dogs and horses. They've forgiven her (mostly) when they appear in her stories. She reads everything she can get her hands on, but romances, especially paranormals, are her favorite. Vampires, humans, Fae, shapeshifters, or demons, it doesn't matter-Anna's heart goes pitter-pat for the Happily Ever After. Hot heroes + strong, funny heroines = awesome.